2012 is the 50th year of the Cultural Affairs program of Silliman University. To celebrate this milestone, Outstanding Sillimanian and Philippine Star columnist Domini Torrevillas wrote: “It’s almost impossible to live four years of your life at Silliman University and not become a hopeless romantic. Whichever career you choose to prepare yourself for — an engineer, a biologist, a nurse, a lawyer, a computer analyst — you have no choice but to swim in the works of Shakespeare and the Victorian literature and novelists, essayists and poets. I was a willing victim of the sweet tyranny imposed on students in my time. To begin with, I loved literature, had topped my literature lessons in high school, and chosen early to become a writer, and be a Brenda Starr, the comic’s icon in the ’50s. (This dream became partially true when I was invited by the late Betty Go-Belmonte to join The Philippine STAR.) Like everyone else at Silliman, which was founded in 1901 by Presbyterian missionaries), I was exposed to Shakespeare plays, to Medea, and debaters and orators, hobnobbed with senior and junior poets, watched Broadway musicales, attended concerts at the gymnasium, at Silliman Hall, dormitory theaters and private homes and at the amphitheater facing the famous Silliman church edifice, and poetry reading at private homes. We listened to the carillon ringing anthems to God and goodness, and the fabulous church choir that rendered soul-lifting choral radio station, DYSR, kept playing classical music. In short, we were being trained to be culture vultures. Students lived in the glory of having icons in their midst if not visiting personalities such as the late National Artist in Literature Edith L. Tiempo, novelist Edilberto K. Tiempo, National Artist in Film Eddie Romero (all three were Silliman alumni), and the famous Renaissance man Albert Faurot who spent most of his adult life tutoring students at Silliman till he passed away. Silliman University is blessed with visiting scholars this school year. On January 19, Visiting Professor of the School of Public Affairs and Governance (SPAG) Dr. Arnaldo Pellini, a research associate of the Overseas Development Institute (ODI) in the United Kingdom, opened a lecture series organized by the School of Public Affairs and Governance (SPAG). He spoke on the “Introduction to Evidence-based Policy Influencing” – a discussion on the role of research evidence and knowledge in influencing policy processes. The Commission on Higher Education (CHED) has designated Silliman University as member of the national research network dubbed Philippine Higher Education Network (PHERNet). 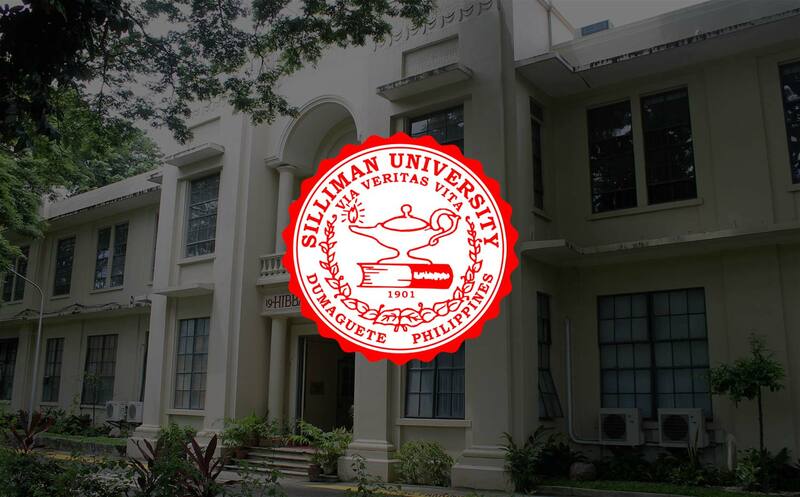 Silliman will be receiving P10 million annual grant for a three-year research mobilization period. This CHED program is one of the approaches to promote research at the regional level. This is a refinement to the Zonal Research Center concept; it now groups Zonal Research Centers into two: the national group PHERNet and the regional group called the Higher Education Regional Research Centers (HERRCs). Silliman served as a CHED Zonal Research Center for Region 7 from 2000 to 2011. Silliman’s response to the needed healing after the crisis brought by typhoon Sendong included psychosocial support provided by the Guidance Counseling Division and the Psychology Department. Mobile health clinics were also organized by the College of Nursing, and the Social Work Department and the Justice and Peace Center pitched in for the healing ministry. Updates on the relief operations of the University are on the website, www.su.edu.ph. Amyrrha M. Estolloso of Silliman University High School bested contestants from nine other high schools in the Central Visayas round of the 2nd Voice of the Youth (VOTY) National Oratorical Contest held in Cebu City. She is now preparing for the final event on February 27 in Makati. A cash prize of P100,000 and a package of science laboratory supplies worth P800,000 for the school await the national winner. Silliman received recently at grant of $500,000 from the American Schools and Hospitals Abroad (ASHA) for the renovation of the virtual stimulation laboratory at the Olivia Villaflores-Yanson Hall. The grant will be used to purchase equipment, including another high-fidelity patient simulator, low-end patient simulator, cardiac monitors, and intravenous (IV) infusion pump. This equipment will also assist healthcare and medical students in the proper administration of procedures and care of patient under different disaster scenarios.The donation was made through the United Board for Christian Higher Education in Asia. The International Diaconic Management (IDM) Seminar-Workshop was held in Silliman University. Around 20 church workers and scholars from seven countries joined the workshop from January 9 to 27. Through the United Evangelical Mission, the IDM program gathers graduate students for a Master Course in International Diaconic Management in consortium with the mother program at the Institute Diaconic Science and Diaconic Management in Bielfield, Germany. The academic program enhances expertise needed in hospitals, nursing homes, orphanage, schools and community health centers. Diaconic is the branch of practical theology which treats of the science of the “inner mission,” that is, the mission to the community already Christianized, as distinguished from the “outer mission,” which reaches out to the unconverted world. It is the study of pastoral duty to the sick, the unfortunate, and the fallen. Silliman’s PRIDE! International violin virtuoso Gilopez Kabayao introduced the champion of the 2011 National Music Competition for Young Artists Jimmy Tagala Jr., his student, in a concert on January 13 at the Luce Auditorium. This was Tagala’s first solo concert as a violinist, and he was accompanied by the country’s other icon in Music Education Corazon Kabayao. A number of high school and college students lined-up for autographs of the music icons and their protégée. The Robert B. and Metta J. Silliman Library hosted the 17th Annual Book Fair which opened on January 31. This annual event gives Silliman and the larger Dumaguete community an opportunity to update their collections. The 2012 fair included e-books. IN MEMORIAM: former Jean Mary Pia in December 2011, Alicia Quiamao Beltran (BS Social Work 1985) on December 17, Lorna Eleccion Bulgerin (BS Nursing 1978), Dr. Wilmer G. Heceta (Associate in Arts Pre-Med 1956, Outstanding Sillimanian in the field of Medicine 2005) and Former Presiding Justice of the Court of Appeals (CoA) Jesus M. Elbinias (AA '51, LLB'55, Outstanding Sillimanian in the field of Government Service 1991) on January 23. If you know of any Sillimanian who is not on our memorial list, please inform us. Thank you for always being there for dear old Silliman. President Malayang has requested this office to update you regularly about happenings on campus. We are also interested in knowing what you and your alumni chapters are doing.